← Karate, Taekwondo, crecent kicks etc. Research on some of the most important topics in Karate Kobudo is almost exclusively carried out by individuals. One example is the Bubishi, which basically had been dug out by private endeavors only. One minor example is research into Kata names. Research in Karate is seriously unpopular. People find all kinds of excuses why they hate it. They hate it like math and similar to math many people basically shout “I Quit!” by limiting Karate to a mere physical activity of-sorts. I agree, it is complex. While explanatory models of selective academic knowledge are not sufficient, issues of Karate can successfully be solved by treating them as philosophical questions. I don’t mean philosophy in sense of someone talking long and boring about what he thinks or believes, nor in sense of saying something is true OR false. Rather, I mean it in sense of contingency as used in modal logic. And that is philosophy. A is contingent (kont), when both A is possible as well as non-A is possible. That means, a statement is contingent if it is true under at least one possible scenario and if it is simultaneously false in at least one other possible scenario. That is, the statement is possible under certain preconditions, but not necessarily “true” in all scenarios. And this is the exact reason why we have so much arguments in Karate. And this is the exact reason why these arguments are futile. There are also many Westernes on Okinawa or visit the island and who will support the one or the other opinion. Instead of saying the one or the other lied or that it is true or false it is in fact simply contingent in the philosophical sense. So when master Nakamichi said that he learned Tuidi from Chakamoto Ojisan, while Kamado Pechin said that he only learned kata from the same Chakamoto Ojisan, neither of these are false or true, but both are possible, and non-possible. In other words, as long as no evidence is provided, it remains contingent. Hence, all you make from it remains a hypothesis. And that’s why people hate Karate research and resort to push-ups to save their souls. Contingency is a particularly open form of possibility. In other words, it allows for all sorts of theories. The question is not who said what at what time, but why Karate has to resort to such contingency. You can answer that for yourself. You might think of “The hare and the hedgehog” by the Grimm brothers. You are the hare. Sorry. Anyway, in his 1998 work, Ōtsuka Tadahiko described his findings on the origin of Kata names. The following is what he came up with for the kata Seiyunchin of Gōjū-ryū. It may be an example of contingency, or not. Or both. “When considering the Kata Seienchin it must be borne in mind that the kata is called Seiyunchin on Okinawa. Furthermore, the name of the kata called Shisōchin contains the same character chin, which derived from the Chinese character jin (勁; strong, unyielding, tough, powerful). 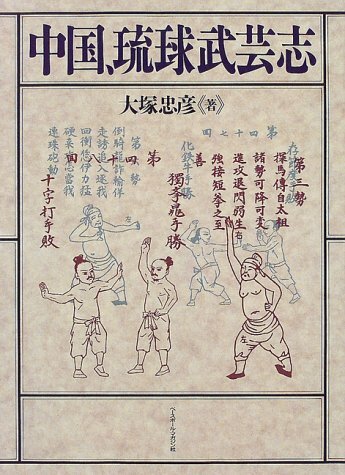 In Taijiquan there are the concepts of fajin (發勁; releasing of internal energy), huajin (化勁; transforming internal energy) and jin (勁; internal energy, power). These concepts are all widely spread and used in the terminology of the martial arts. This character called jin can be equated with the Japanese chikara (力; force, power, strength). As regards Seienchin, the first syllable sei derives from the Chinese suí (to follow; to adapt; to allow; to obey). The second syllable en or alternatively yun derives from the Chinese yùn (movement; to wear; to transport; to make use of). This adds up to Suíyùnjín (随運勁), that is,‘to adapt the use of force in accordance with the circumstances,’ and it is exactly this feature this is intended to cultivate. This entry was posted in Unknown Ryukyu and tagged Karate, Otsuka, Seienchin, Seiyunchin, The hare and the hedgehog. Bookmark the permalink.